A hidden utopia along the peaceful waters of the Chapora River, amid blue skies and warm sunny breezes. 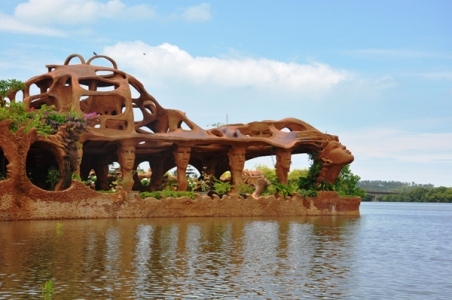 The Teso Waterfront is a unique pictureqsue party hub perfect for weddings and events. 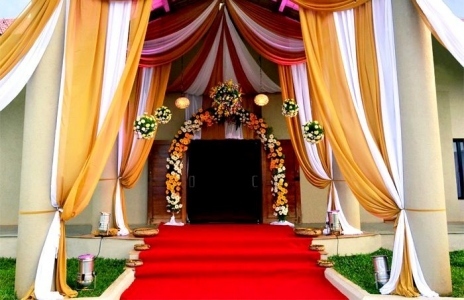 If you are looking out for a wedding venue thats located in the heart of the city, has the most luxurious interiors and the best acoustics, to give your wedding the grandeur it desires, you have to look no further than the Panjim Community Centre. 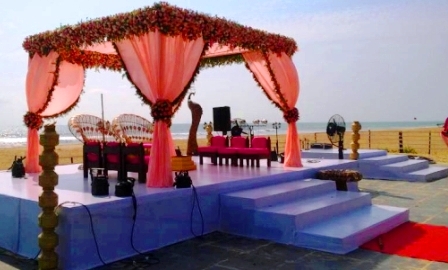 Grand in scale and design, the Grand Ballroom is not only the largest hall at the Grand Hyatt Goa but also the largest banquet hall in Goa perfectly suited for grand weddings &social events. This stately 5547 sqft ballroom accommodates up to 500 people in a theatre-style seating arrangement and upto 300 in a banquet setup. Measuring 3612 sqft and 2981 sqft, these halls are ideal for pre and post wedding events as well as corporate meetings of up to 280 people. Salcete Ballroom covers 4030 sq ft of understated sophistication. Select the expansive yet intimate space of this grand ballroom for large gatherings of up to 250 guests. 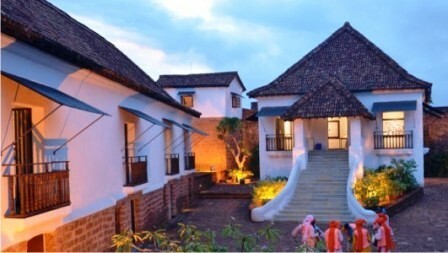 1250 sq feet of space can be divided into two parts - Colva and Loutolim. Within this state-of-the-art setting, you may entertain 40 guests for cocktails and canap�s or invite up to 30 guests for a formal seated affair. The Meteora Banquet Hall at the Bogmallo Beach Resort is an air-conditioned sea facing banquet hall which is perfect for weddings for upto 400 guests. 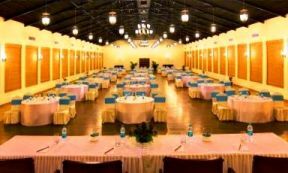 The Grand Sala is the largest indoor venue at the Cidade de Goa Resort. 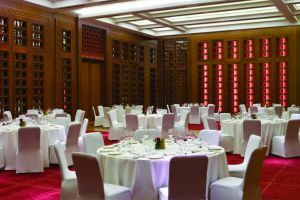 The hall can accommodate upto 180 guests in a clusterered round table setup and upto 500 guests in a theatre style setup. 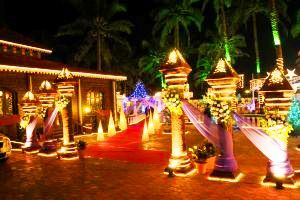 The Ball Room at the Holiday Inn Beach Resort is a hot spot for weddings and events especially in south Goa. 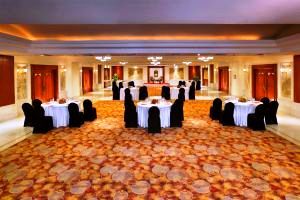 With a total area of 5065 sq ft the hall can accommodate upto 250 guests in a round table setup. 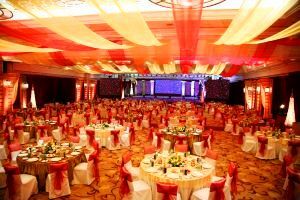 The biggest banquet hall at the Zuri White Sands Resort which is perfect for Sangeets, Mehndi and other indoor functions. The banquet hall can accommodate 180 guests. 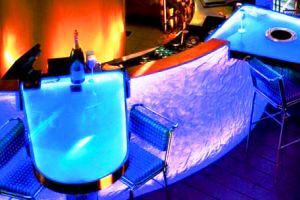 Cruise along the backwaters of the River Mandovi in Goa's unique lounge yacht which is perfect for private parties for upto 30 guests. 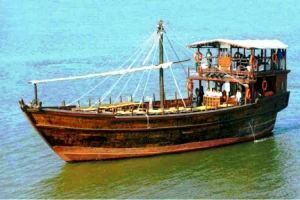 This Classic Dhow is able to accommodate up to 50 people and is a perfect event idea for intimate pre-wedding relevries. Lost Paradise House Boat is a 3-star luxury cruise which features comfortable and ergonomic rooms with an in-house restaurant serving a wide selection of delicious and aromatic Indian and international delicacies. Sail along the river Mandovi and watch the beautiful city of Panjim as you party the night away in your privately chartered Royal Cruises. 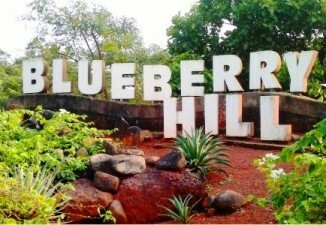 The perfect alternative venue for pre-wedding functions. Cruise along the Mandovi River in Goa's largest triple deck cruise boat which can comfortably accommodate upto 350 guests. The perfect cruising option for weddings and theme parties. One of the most ancient and celebrated religious buildings of Goa, this magnificent 16th century cathedral is the largest church in Asia. 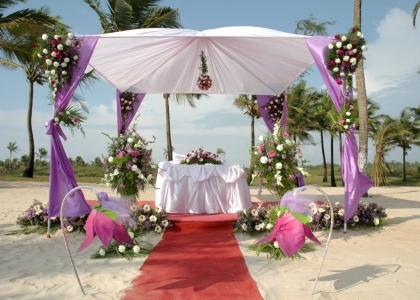 A Perfect venue for Roman Catholic Ceremonies and Wedding Photo Shoots. 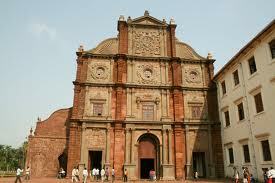 Goa's most famous church and among the most revered by Christians as it holds the mortal remains of St. Francis Xavier. The Basilica of Bom Jesus is the top heritage destination for Roman Catholic Weddings and wedding photo shoots in Goa. Built in the year 1541, the church of Our Lady of the Immaculate Conception in Panjim is one of the oldest and most iconic monuments of Panjim and Goa. A perfect venue for Roman Catholic Weddings, photography and film shoots.